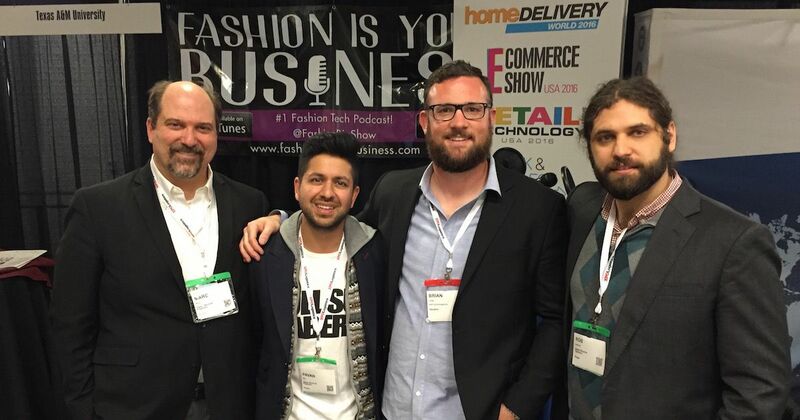 New York, Apr 27, 2016 (Global Fashion Wire) - Fashion tech and business podcast, Fashion is Your Business (FYIB), discuss maximizing retail customer experience using metrics with Alert Tech. 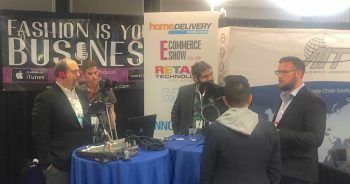 Brian Laney, VP of Sales for Alert Tech, a platform that specializes in call button systems, occupancy sensing and traffic analytics for retail, joins FYIB's Pavan Bahl, Rob Sanchez and Marc Raco on the floor of the Innovation Center of the 2016 ECommerce Show USA in Atlanta, GA.
Laney shares how Alert Tech has developed from when the company started, learning the secret sauce of relationships with retail operations people, the intangible part of brands, what is important culturally for retail stores, the last domain of the old approach to retail, and Alert Tech's scalability. A discussion on maximizing return from the fitting room since it is a large part of floor space, the effect of implementation on Average Dollar Sale and Units Per Transaction, creating additional points of interaction where associate expertise can impact dollars, bringing less-knowledgeable associates to higher effectiveness through technology, and the importance of companies reaching out to one another with help and support. How boutiques may be more in tune with inventory and how to move into boutiques and develop a solution allowing them to mimic work done by big brands. Laney reviews the process of Alert Tech, customer experience, store level interaction, setting the expectation that there will be an interaction, being ready with cross sells and to deliver on service promises, marrying collected data with other in store intel, point of capture for UID, and impact of giving the customer an experience. The involvement of psychology in process, thinking from an associate's perspective, giving associates the tools to be valuable to retail results, how training impacts data and attribution, providing the ability to deploy, how call buttons can be heavily branded including materials and construction, illumination and lighting, and identifying the state of use of fitting rooms. Generational gaps in customer interaction, how an older customer can slow down interaction, turning fitting rooms into a web experience but not utilizing human tactile interaction, how Alert Tech's strategy is about driving interaction between the associate and customer, guided interactions, helping associates without high product knowledge step up results with tech solutions. 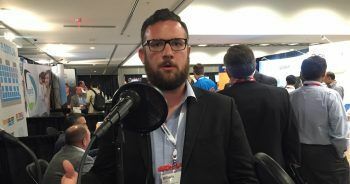 The common challenge of fitting rooms not delivering on a brand's promise, how the whole thing is about experience, and why it makes sense for ROI to come from driving people to interact with other people instead of replacing people with technology. A conversation of how associates are young but motivated, hard working, and often a brand's biggest fans and therefore should be mobilized as ambassadors. 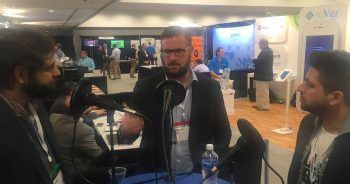 The future of omnichannel experience is weighted toward ecommerce and the increase in mobile purchases and discovery, the cultural truth of people being identified by what you wear, and the necessity of having tactile interaction with clothing and a brand. Off the Grid Questions covers soldering at nine-years-old, landing on the wrong runway, a near death experience, and last chance family photos.